Puerto Banús Marina known as The Spanish Riviera is famous for many things including its bevy of beautiful boats ranging from high speed offshore boats and yachts to luxurious cruisers owned by the likes of Michael Douglas and King Fahed of Saudi Arabia. 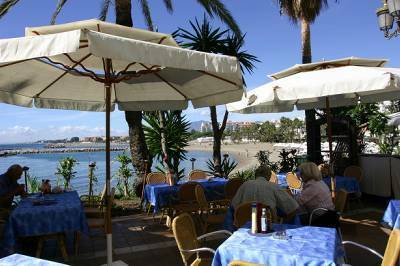 The beaches adjacent to both sides of Puerto Banús marina hold a European blue flag. Puerto Banús Marina known as Spanish Riviera is famous for many things including its bevy of beautiful boats ranging from high speed offshore boats and yachts to luxurious cruisers owned by the likes of Michael Douglas and King Fahed of Saudi Arabia. 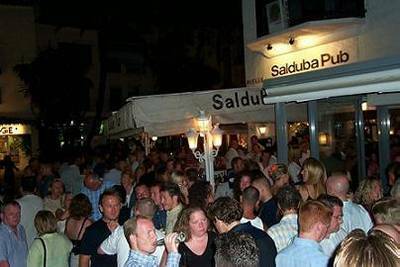 The nightlife in Puerto Banus is incredible, with a huge choice of alfresco bars, casinos, piano clubs and discos. Puerto Banus and Marbella boast some ofthe finest stores in the world for clothes,furnishings and all the accessories of luxury living. If shopping is your passion designer names such as Gucci, Chanel, Armani and Versace are here in abundance. For another view of the marina, boat trips are available on a regular basis. Also available for hire is a range of sporty water transport. Anywhere on the Puerto Banus marina waterfront, and watch the millionaires plus their yachts and cars. Antonio’s is a favourite, but expensive. 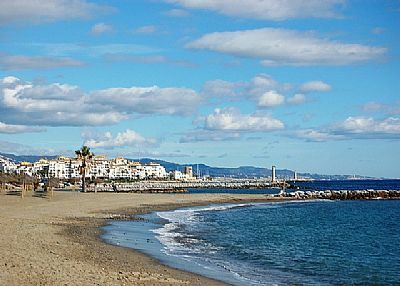 In summary, Puerto Banus is a year-round resort with outdoor dining and swimming in the sea possible from April to October. Spring is great for golfers and for visitors who enjoy the relative tranquility and pleasant temperatures (up to 25 degrees C). Summer is wonderfully hot (at 30 degrees C or more) and the resort buzzes with activity. Autumn and Winter are still pleasantly warm and sunny (at 20 degrees C or more). Take your pick! A selection of Puerto Banus Hotels can be found from this link. Due to the areas glamorous and wealthy status, the accommodation within the town is dear and luxurious. Their prominent, stippled spadices florence italy tourist map his cloak. If you would like a wider choice of accommodationin the area for Villas and Apartments types and for cheaper then head for the suburbs and outskirts of Puerto Banus. 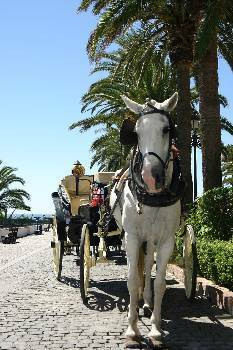 Visit: Mijas, a wonderful hill town. (¾ hour), Rhonda, for the lovely town and the drive. (3/4 hour), and Estapona, for the harbour, old town and lovely beach. (20 mins). If you want to travel a little further out, you can go to the fantastic Fuengirola water park - which is for people of all ages, and great for cooling off in the summer. You could also head into the mountains to the beautiful town of Ronda, with its ancient bull ring its one of the most historic villages in the south of Spain. It is one of the most historic towns in the south of Spain and is only 45 minutes drive from the apartment and very easy to find. You could also visit the monkeys at the top of the Gibraltar rock this is only 1 hour away and is worth a visit, and possibly stop off at beautiful Estepona on the way. Estepona is home to the SELWO safari park - great for the children. If you are in the area during the winter months, within 2½ hours you can enjoy excellent snow skiing in the Sierra Nevada. Historical cities such as Granada, Cordoba and Seville are all in driving distance for wonderful day trips.